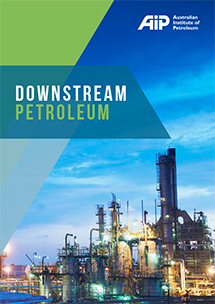 Our mission is to promote and assist in the development of a strong and internationally competitive Australian petroleum products industry, operating efficiently, economically and safely, and in harmony with the environment and community standards. AIP publishes comprehensive market prices on a daily and weekly basis to help the community follow and understand the key market and other factors influencing fuel prices in Australia. Average daily wholesale prices (TGPs) for unleaded petrol and diesel at major terminal locations around Australia. A weekly overview of international, wholesale and retail price trends influencing pump prices in Australia. Average weekly retail prices for unleaded petrol and diesel across Australian States/Territories, regions, cities and towns. Get an overall 'snapshot' of movements in key market indicators relevant to the price of petrol at the pump in Australia. Find out more information about factors influencing fuel prices in Australia. Understand the movements in international benchmark prices relevant to the price of petrol and diesel in Australia. Our resources aim to provide factual information and data on the petroleum industry, its activities and policies. Browse and download reports, factsheets, submissions and media releases.